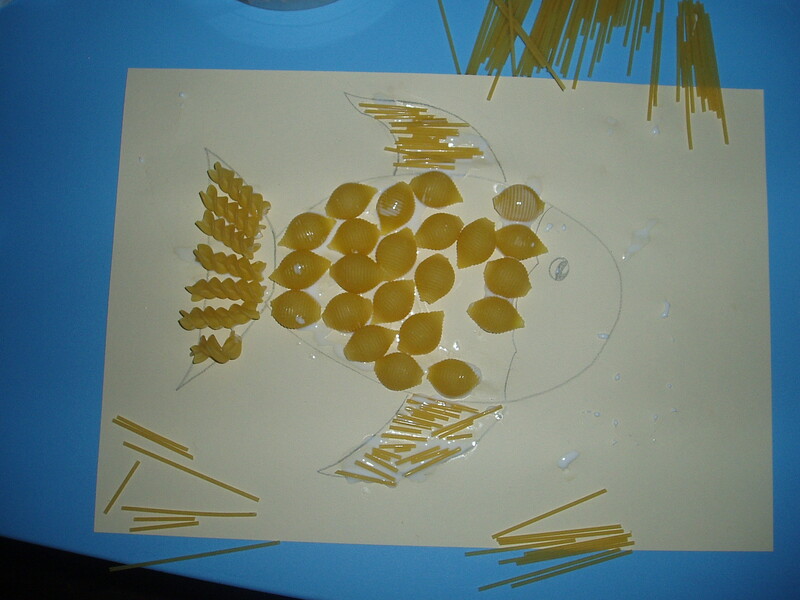 We have been having some fun lately with pasta and glue. Who would have thought it would keep the kids so entertained for so long. 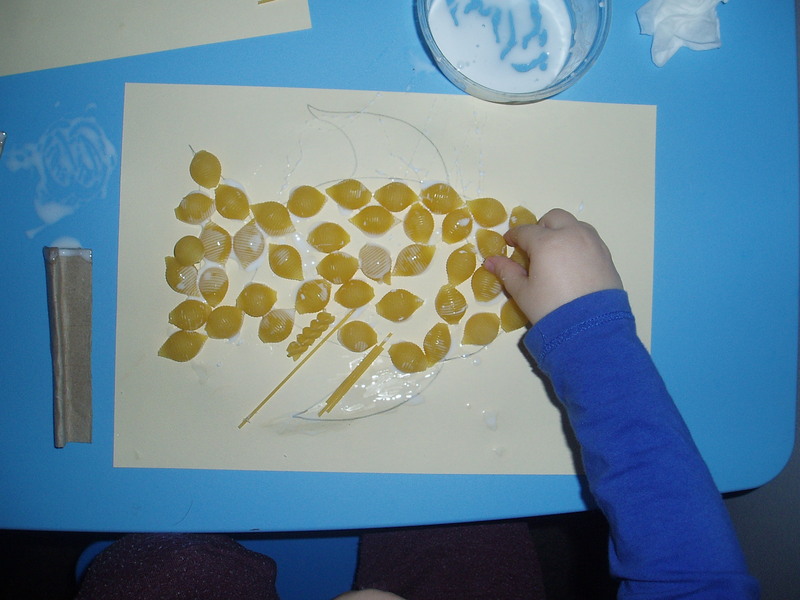 We started off by trying to do a fish with our pasta as we had been talking about the fishes scales and I thought the pasta shells would make good scales. Pink really got into it, Blue had fun even if he did go out of the lines a bit. I started off by putting the glue into an old food container so that the kids had to dip the pasta shapes into the glue. This did mean that the kids ended up making a bit of a mess and got glue everywhere but that was part of the objective. After Pink finished she wanted to do a bear but asked to use the glue sticks this time. They had so much fun doing these that the following day Pink actually asked if we could do more pasta art. 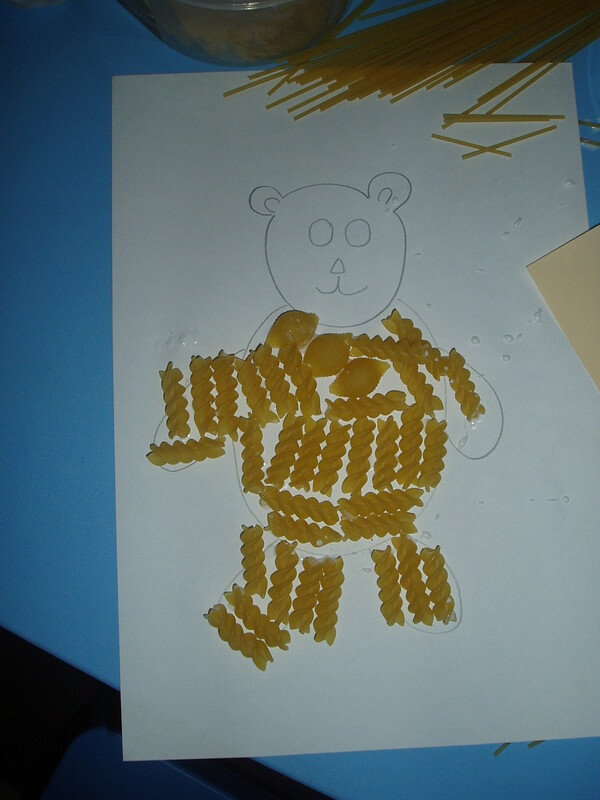 And she has already requested that one of our art projects for next week is a pasta art picture !! 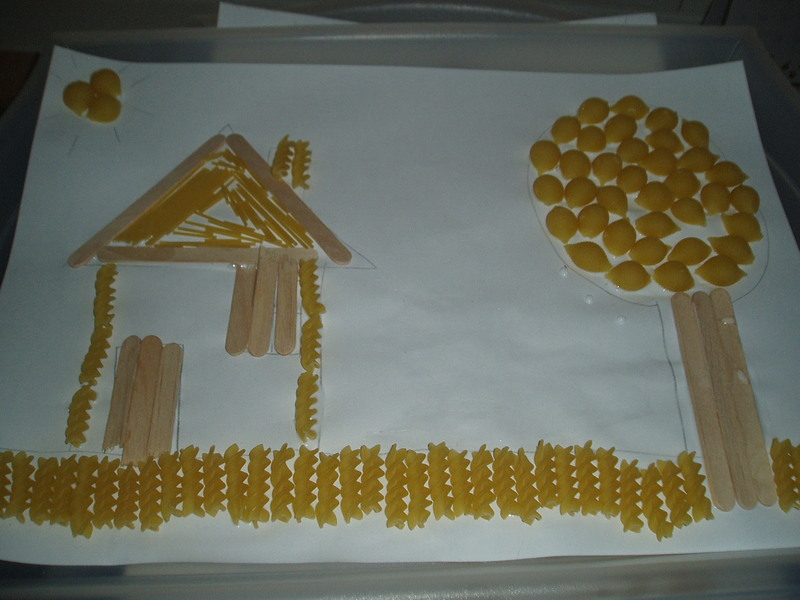 This entry was posted in Art and Craft Ideas, sensory play and tagged pasta art, sensory play. Bookmark the permalink.